The ongoing story in the national and regional market is the contraction of inventory for sale, so perhaps it is remarkable that sales during the third quarter remained stable in northwestern Vermont, while inventory generally declined. Third quarter (Q3) activity reflects properties that were put under contract in the spring, with ensuing closings in July, August and September. June is typically the top month for real estate closings, as new households form and consumers work around summer vacations to buy or sell a new home. However, over the past few years, sales have strengthened in Q3, which is evident in this report. A season of strong buyer demand this year likely contributed to a timing of transactions that produced a stable Q3. In our 4-county region, including Chittenden, Addison, Franklin, and Grand Isle Counties, the number of single-family homes for sale in Q3 was 2,138, compared to 2,367 at this time last year — a decline in inventory. However, demand remained strong. In 2016, 714 single-family homes sold between July and September; 736 were sold in Q3 2017 — a rise in sales. The inventory of single-family homes for sale in Q3 has dropped steadily (nearly 28%) since 2014, when there were 2,960 on the market in Q3. Meanwhile, the number of single-family homes sold has increased 24.5% during that same period. Despite a strong Q3 in terms of closed real estate transactions, the YTD number of single-family homes sold in our 4-county region has dropped by 1.7%, while the number of condos sold has lowered by 4.4% — likely a result of the continuing decline in inventory. One national and regional trend contributing to lack of inventory is simply that Americans are moving less. According to data from the National Association of Realtors, homeowners are staying in their homes for 10 or more years, compared to a previous national average of seven years. The tightening of inventory has generated a jump in sold prices. Year-to-date (YTD), the median sale price of a single-family home — with the median price being “half the houses sold for more and half sold for less” — has jumped 4.3%, while the sale price of condos has risen nearly 4%. The demand for homes and a shrinking stock of inventory has created an unusual number of multiple-offer situations for buyers and sellers. Buyers should consider a price point but be ready to be flexible in a competitive offer circumstance. Buyers should also enter the home buying process with pre-approval for financing from a local lender. Sellers should prepare their homes in advance for showings and inspections. On the lending side: Mortgage rates are still low — around 3.8% for 30 years — but the national inventory shortage and an unprecedented amount of college debt facing younger generations has slowed the rate of household formation for first-time homebuyers. New lending regulations and restrictions have also posed challenges for first-time homebuyers, while Baby Boomers who are downsizing can sometimes make cash purchases. Sellers and buyers should be aware of this trend when considering multiple-offers. Our thoughtful and skilled Realtors can help with the often speedy, whirlwind competitive bidding process. In previous years, we have witnessed that homeowners with properties on the market tend to take them off the market in the fourth quarter during the holiday season. However, if sellers are committed to selling, our agents recommend they keep their property on the market through the winter, because this is when motivated buyers, who must move for any reason, such as job relocation — are looking for a new residence. Our team of experienced Realtors are available to answer any of your questions about the real estate market and your specific circumstances. We look forward to working with you. Since 2014, the number of homes available for sale in Chittenden County has dropped by 31%, while the number of homes sold has jumped by 28% since Q3 2014. Chittenden County is still our region’s most diverse market, with properties ranging from $145,000 to $5 million — an unusual range for any market in the U.S. The median price in Chittenden County is now up to $322,500 for single-family homes and $232,500 for condos sold YTD. Again, this increase is likely a result of healthy buyer demand coupled with the decrease in properties available for purchase, which has dropped 7.9% for homes and 6.4% for condos. Single-family homes in Chittenden County are now on the market for an average of 70 days, while condos are listed for an average of 85 days — a moderate increase that might be affected by newly constructed condos that remain on the market until construction is complete. 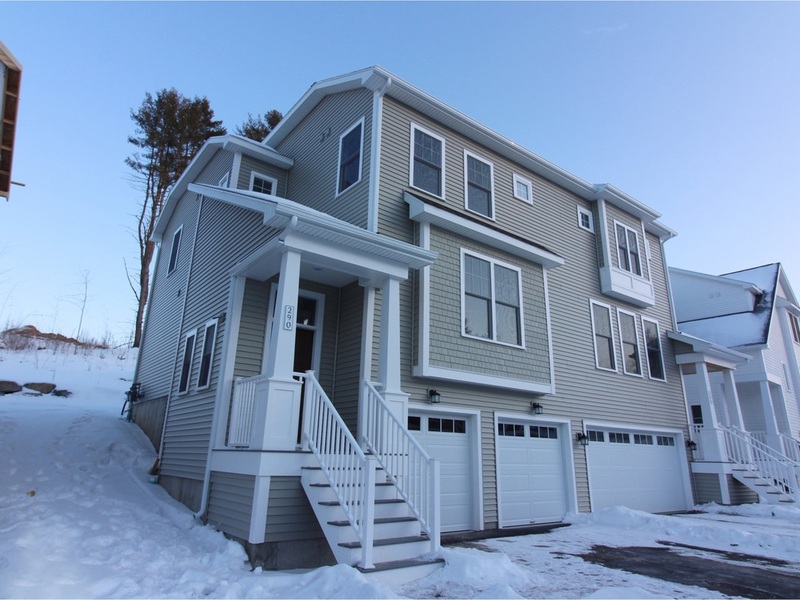 Newly built homes in Chittenden County are selling anywhere from $400,000 to $600,000. The cost of new construction, higher efficient homes, automated home features, and neighborhood amenities are driving market value. A good example of this mix is in the neighborhood of South Village, a community of single-family homes and townhouses in South Burlington surrounded by on-campus amenities, including an organic farm and recreation trails. Residential sales in Addison County continue to recover after a few soft years. First-time homebuyers looking for properties listed at $200,000 – $250,000 have created a growing market in Addison County. Our Realtors have noticed that parents of Middlebury College students are purchasing condos as either short-term or long-term dwellings. The median sale price of a condo in Addison County has jumped to $191,000, while the median sale price of a single-family home has increased by 11%, to $255,000. Lower inventory in nearby Chittenden County might be pushing buyers a bit farther south, where buyers may find more house for their money. There has been a sharp decline in Q3 inventory (-27%) in single-family homes in Addison County over the past 4 years, while sales have increased 21%. While there is still an inventory shortage among all price ranges, sales have risen on homes listed between $250,000 to $450,000, according to our Realtors. Franklin County remains the most affordable county included in this report. The median price of single-family homes sold YTD is $212,500, compared to $322,500 in nearby Chittenden County. The tightening of Chittenden County inventory during the past few years has sent buyers north to Franklin County and south to Addison County, in search of more affordable properties. While the number of homes sold in Franklin County has jumped by 20% since Q3 2014, inventory of available homes for sale has not kept pace with demand. Since Q3 2014, single-family homes available for sale has declined 30%. After two years of healthy growth in terms of sale price and units sold, single-family home sales dropped nearly 12% YTD – an indication of market normalization and low inventory. Construction of new condominiums in the county have remained in demand, with a steady increase of 30% in the number of transactions closed. The largest increase in the number of home sales can be found in Grand Isle – with an 8.7% increase year over year. However, the relatively small numbers can have a greater effect on the statistics. Grand Isle County reports the fewest number of sales of the 4 counties included in this report at 100 single family homes and 1 condo sold year to date 2017. A steady but moderate decrease in homes available for sale and an increase in single-family sales has driven the median sale price up 8.8% to $238,000. Grand Isle typically sees stronger sales during the summer months. 45 single home sold during the 3rd quarter which represents 45% of the total year’s sales; this pace has been consistent since 2015 while the number of homes available during the summer months has declined 10% since 2015. The average days on the market before a home sells has dropped 22 days to 145. While this is the longest period to closing for the 4 counties in the report, it is less than 5 months. Well priced homes in good condition will be of interest to savvy buyers. Sales and prices of multi-family properties in all four counties have been soft through 2017, but there were significant and strong signs of improvement in the third quarter — especially in Chittenden County and its population centers. The number of multi-family properties sold in Q3 increased by 12.5% with the average sale price increasing by 4%. Our Realtors have noticed that optimism over recent Burlington development projects, such as the redevelopment of the Burlington Town Centre, has generated interest from out-of-state investors — from New York City and Boston, more specifically — who want to diversify their portfolios with affordable multi-family properties. The quick movement of well-maintained, well-located multi-family properties has produced multiple-offers in many cases. Finally, our Realtors have noticed that buyers who are priced out of the single-family housing market are investing in owner-occupied duplexes; this way, they can still own a home while putting their tenant’s rent toward their mortgage. Rents continue to rise in Chittenden County, according to real estate consulting company Allen, Brooks & Minor. For example, the one-bedroom apartment that fetched $888 a month in 2014 can now attract $1,033. On the higher end, a three-bedroom apartment that cost $1,033 in 2014; now costs $1,855, according to Allen, Brooks & Minor data. Executive-level apartments in expensive complexes — where exercise and dog washing facilities are included in the monthly rent — are collecting as much as $2,000 a month. Our Realtors speculate that high rents could actually make the housing market attractive to potential first-time homebuyers who might want to stop paying high rent. Also, newly constructed apartment buildings in Chittenden County are creating new housing stock that will better meet the needs of relocating professionals. College students still dominate the rental market in the Burlington area, and student properties are still moving quickly, because they are a continuous source of revenue. With new housing options coming online for students, such as a 315-bed dormitory for Champlain College, demand for off-campus rentals may taper.